Maria C. Kozloski serves on EMPEA’s Board of Directors and its DFI Council. 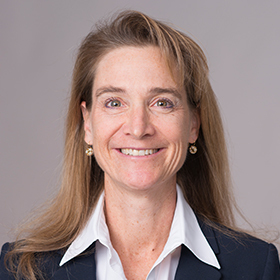 Ms. Kozloski is Global Head and Chief Investment Officer of Private Equity Funds for the International Finance Corporation, overseeing investments in private equity funds in emerging markets. Prior to holding this position, she was Managing Director for the Lockheed Martin Investment Management Company, overseeing a portfolio of approximately $3.5 billion invested in private equity and real estate. Prior to Lockheed, she had spent 13 years at The World Bank Group where she had extensive experience investing in emerging markets for the International Finance Corporation, and managed private equity investments on behalf of The World Bank’s pension system. During her career, Maria has lived and worked in Moscow, Warsaw, New York City and Washington, DC. She is a CFA and holds an MBA from The Wharton School at the University of Pennsylvania, a Master of Arts in East European Studies from Johns Hopkins’ School of Advanced International Studies and a Bachelor of Science in Mathematics from the Massachusetts Institute of Technology. She is a Board member for the Whitman High School Education Foundation and the Bannockburn Swim Team. Maria lives in Bethesda, Maryland with her husband and three children.